Mt Buller and The Mountain Collective are delighted to announce Australia’s most accessible alpine resort as the newest member of the Mountain Collective in 2019/20. The Mountain Collective is an alliance of some of the best skiing and riding destinations on the planet. Boasting Victoria’s largest lifting network and just 3 hours from Melbourne, Mt Buller joins the popular Mountain Collective pass which includes NSW neighbours Thredbo, Coronet Peak – The Remarkables and Mt Hutt across the Tasman in New Zealand, Niseko United in Japan, Chamonix in France (Global Affiliate) and top shelf resorts across North America including Alta, Aspen Snowmass, Banff Sunshine, Big Sky, Jackson Hole, Lake Louise, Mammoth, Revelstoke, Snowbird, Squaw Valley Alpine Meadows, Sugarbush, and Taos. To celebrate the Mt Buller announcement Mountain Collective has issued a limited number of Mountain Collective passes priced at A$449 (Australian dollars) matching the US dollar sticker price, giving a discount of around $200 for Australians and New Zealanders who snap up the introductory offer. Mountain Collective passholders enjoy two days riding – with no blackout dates – at all Mountain Collective destinations totalling 37 days at the world’s best resorts on the 2019/20 Collective pass. In addition, Mountain Collective passholders can top up with additional days at 50% off single day pass prices in each destination. Early purchasers also receive one bonus day at the destination of their choice for a limited time, with two additional days at Chamonix Mont Blanc, France. “The Mountain Collective offers great value for Australian skiers and boarders seeking diverse snow experiences in bucket-list destinations. We extend a warm welcome to all Mountain Collective passholders, and particularly northern hemisphere folk seeking an endless winter and a unique Australian alpine adventure” he added. Mt Buller’s 2019 season pass holders will also benefit from the new Mountain Collective membership with 50% discounts on single day passes at all Mountain Collective resorts in 2019/20. The Mountain Collective Pass gives skiers and boarders access to 17 destinations, more than 52,858 acres of terrain, 2,459 trails and 383 lifts at some of the most acclaimed mountains in the world. The exclusive passes for Australian and New Zealanders are only available online at https://tmcaustralia.ltibooking.com/ This special offer is available for a limited time until sold out. • 34 days at 17 iconic snow destinations. Plus an additional day at a resort of your choice for a limited time only. • Access to 50% off any additional day passes at full member resorts. Unlimited with no blackout periods. • Access to Mountain Collective Kids Pass for $99USD ($142 AUD). Kids must be 12 and under at the time the pass is purchased. 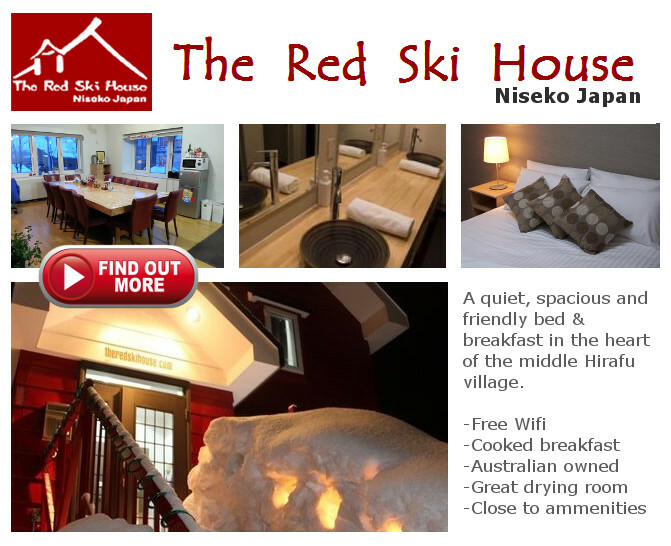 Visit www.MountainCollective.com or call 02 6459 4151 in Australia for more information. *Price and availability of bonus day subject to change while supplies last. Mountain Collective global affiliate benefits are valid only at then current Mountain Collective Global Affiliates. Global Affiliates are subject to change each ski season. Finding value in the Aussie ski fields can often be a fool’s task. With lift tickets over $130 at most resorts and a pie and Gatorade for lunch over $15 you could be forgiven for giving up the search. Enter Charlotte Pass – a quiet place to learn to ski or just hone your skills without the pressure of the crowds. Australia’s Highest Ski Resort is small…..but it offers great variety for a wide range of terrain from wide groomers to steep rock patches and perfect cruising treed areas. The ‘DayTripper’ Pass costs $109 for adults, $68 for children, and $87 for seniors…let’s break it down. Park at Perisher Valley for the day and take a scenic trip on the over-snow (the road is closed during winter) which takes just over half an hour. When you arrive you will be greeted by friendly locals at the Kosciuszko Chalet Hotel who will talk you through the ins and outs of the area including where to go for lunch. Kosciuszko Triple Chair (the resort’s only chairlift) takes you from the village up to the ridge line. From here the views out into the Main Range are spectacular. With good visibility Mt Kosciuszko all the way to Mt Twynam can be spotted. For beginners you can get your snow legs on Basin Poma. For those wanting things a little steeper you can hit up Pulpit T-Bar. Those keen on the most challenging terrain should check out Guthries High Speed Poma. Just a sort hike from the top opens up Guthries Chutes, a steep and rocky section to satisfy the adrenaline seekers. Included in the DayTripper Pass is lunch at China King, Australia’s Highest Chinese Restaurant at Lucy Lodge. A selected 2-course menu awaits and will be gratefully consumed after a morning spent exploring. For those wanting to head out into the backcountry Charlotte’s offers a great entry point with Club Lake and Curruther’s Peak not far away. My favourite area was looker’s left of the chairlift and above the village where the trees are perfectly spaced and the terrain isn’t too steep (just look out for the pond on the way down). Over-snow transport back to Perisher can be booked at a variety of times depending how the legs are feeling (and how far the drive back home is). A well-deserved Kosciuszko Pale Ale at the Chalet Hotel is a great way to spend the time waiting for your chariot to arrive. Charlotte Pass is a small resort but sometimes that is perfect. The price is certainly right…a welcome surprise in the otherwise expensive pastime of skiing in Australia. Skiers and snowboarders at Thredbo Alpine Resort were greeted with fun powder turns this morning, with every run delivering smiles for miles and great coverage across the entire mountain. The Powder Bowl and Bushranger were the pick of the morning, offering deep turns and lots of fun natural features to play with. The fresh flakes on Friday Flat ensured for plenty of family fun including snowball fights and snowman building. Conditions are still fresh and dry up top, with plenty of pow stashes to be found. The village is looking like a winter wonderland, perfect for a post ski or board lunch and hot chocolate. It’s still currently snowing, with experts claiming another 10cm+ to fall, making for another awesome day of fresh turns tomorrow. This snow storm will set up a sensational week of riding, with the sun expected to make a reappearance around Tuesday. Between the amazing weather and conditions across the mountain, it’s going to be another awesome week of school holidays with heaps of fun activities and entertainment for all families to enjoy. Perisher to open 32 lifts this weekend! The 2019 season has started with a bang! The first winter storm of the season has been relentless, bringing with it 82cm of new snow since last Wednesday..
And it’s not stopping there either. Pete the Frog Taylor from Snowatch is predicting another 10 cm over the next 10 days. Joss McAlpin, Perisher, reports ‘six days of freezing temperatures, heavy snowfalls and strong winds have provided sensational early season conditions. So much so, that this weekend we are opening 32 lifts, across all four ski areas. Perisher’s Chief Operating Officer, Peter Brulisauer, echoed Joss’ comments, indicating “the early season conditions are the best he’s seen since 2000”. Good afternoon from Perisher, where the lifts have started spinning for the 2018 winter season! The mountain operations team fired up the Village 8 Express chairlift at 1pm to allow skiers and snowboarders their first runs and turns for the season. 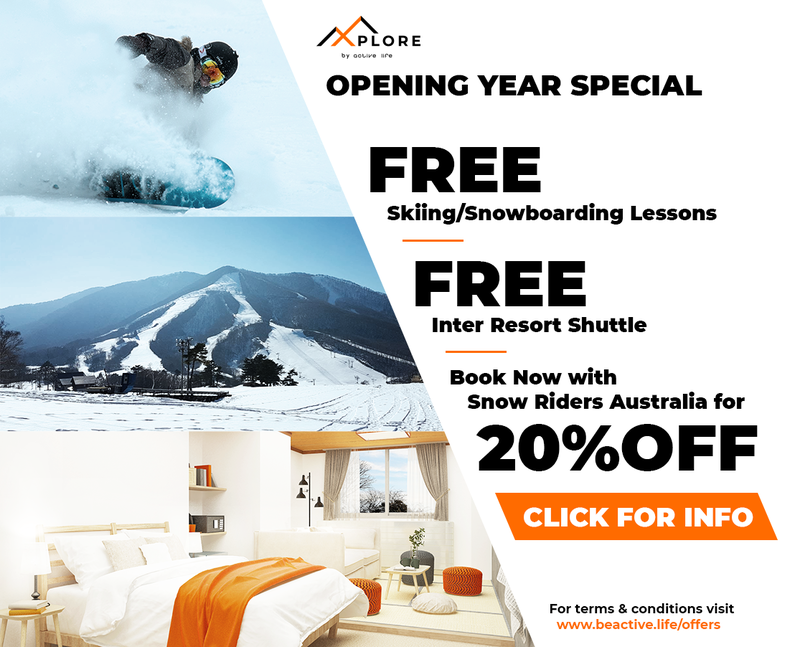 A Perisher spokesperson said he and his team are excited to celebrate the arrival of the June long weekend, which will see the Village 8 Express chair and a ski conveyer on offer, providing skiing and snowboarding to beginner and intermediate terrain,whilst Perisher’s Snowsports School will offer lessons. The June long weekend is a celebration to welcome winter with plenty of activities for the whole family; including the “Rail Rampage” rail jam in the Perisher Terrain Park, massive fireworks display and the PEAK music festival. ‘Finding the Line’ is not a ski movie. It is not a hero’s quest with suspense and a grand finale. But it still had me on the edge of my seat. Nat and Anna Segal allow us to get a bit personal as they help each other to navigate the next stage of life after competitive skiing. Based in Chamonix, Nat’s 6 years on the Freeride and Freeskiing World Tours included winning at Telluride in 2014. Anna calls Whistler home and with a freestyle slopestyle career including Winter X-Games Gold in 2009, has turned her talents to freeskiing and adventuring. The sisters strive to learn from each other to push beyond their mental barriers and find the line to progression. For Anna, her fear of failure is blocking her from skiing to her potential. For Nat, the lack of faith in her own abilities is preventing her from pushing the limits. A tour of some of the world’s biggest and most iconic ski locations bring challenges aplenty as the sisters are forced to look inside when illness and injury split the team apart. We get an insight into the power of the mountains and dangers involved when exploring high-risk terrain like in Chamonix and Alaska. Sometimes risks are just too high…and that’s the way it goes. Above all this film is honest. Yes there are awe-inspiring descents and a backflip or two, but we really get a sense of the hard slog it takes to find these amazing locations. And crash…a lot! It snows a bit in Japan! This is a road near Nagano, that each year is covered with up to 20 m of snow. First time JaPOW: the only question is Hakuba or Madarao? Why not both? If you’re looking for a value ski holiday with a difference, you need to read this!